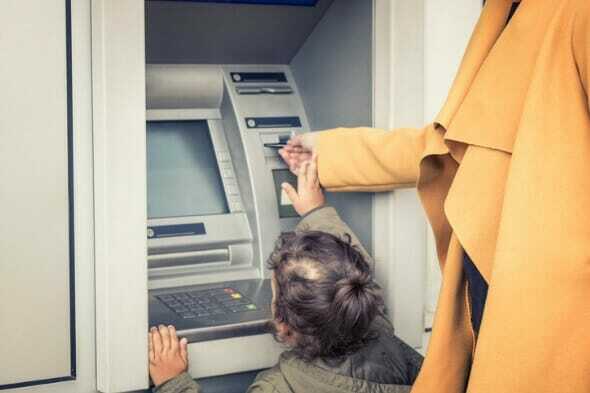 Bank ATM Fees: How Much Are They and How Can You Avoid Them? When it comes to accessing your various bank accounts, ATMs offer a big convenience. This is especially true when you bank with an institution that offers thousands of ATMs all over the world. According to data from the World Bank, there were around 47 ATMs per 100,000 adults in the world in 2016. Despite their geographic convenience, using an ATM can actually cost money, depending on your bank and the ATM you use. What Are Bank ATM Fees? Bank ATM fees are just one of the many bank fees you can face. Usually, your bank won’t charge an ATM fee when you use a bank-branded machine. However, if you use an ATM outside of the bank’s network, you’ll likely face an ATM fee. This includes withdrawals, deposits and balance inquiries. This kind of ATM fee is often a flat dollar amount rather than a percentage of your transaction. Unfortunately, out-of-network ATM transactions usually trigger two fees. First, your bank will charge you a surcharge for using a non-network machine. Second, the ATM operator will also charge a small fee. You’ll typically see this fee pop up on the ATM before you complete your transaction. While you can’t always avoid this fee, using another bank’s ATM will often be cheaper than a non-bank ATM. Coughing up a couple dollars to use an ATM in a cash emergency is a small price to pay. However, it’s important to avoid paying these fees too often. They can easily add up and end up taking a chunk out of your savings, even if you have the right savings account. If you want to withdraw money from an overseas ATM, a whole other set of foreign transaction fees come into play. Bank ATM fees vary based on your bank and the type of account you have. A 2017 Bankrate report found that that the average cost for withdrawing money from an out-of-network ATM reached a record $4.69 this fall. The average fee ATM operators charge also increased to $2.97. When it comes to what your bank would charge for using an out-of-network ATM, the average fee was $1.72. This was also a new high, up 3% from last year. These fee bumps mean a trip to the ATM could cost you more than you would expect. Choosing your bank and bank account wisely can help you avoid high fees. Which Bank Has the Cheapest ATM Fees? Luckily, some banks do charge well below the average in ATM fees, often waiving or reimbursing fees. For one, Capital One offers free access to both Capital One and Allpoint ATMs. If you can’t use one of these thousands of ATMs, Capital One still won’t charge you for using a foreign ATM. Consider EverBank, too, which reimburses you for unlimited ATM fees as long as you maintain a minimum balance of $5,000 in your Yield Pledge® Checking Account. That may seem like a steep amount to keep in your checking account. However, it’s a good deal considering the bank doesn’t have a large network of ATMs. Plus, EverBank offers some of the highest savings account interest rates in the industry. Citibank, the fourth-largest U.S. bank, offers account holders access to more than 60,000 fee-free domestic ATMs. It also waives out-of-network ATM fees for students, Citigold, Citi Priority and other high-end account holders. The bank even has ATMs in more than 20 countries abroad, making it easy for customers to take a trip. The same high-end account holders also get to avoid the bank’s 3% foreign exchange fee. Last but certainly not least, Charles Schwab offers a great option for jetsetting, ATM-wary customers with unlimited ATM reimbursements worldwide. The bank doesn’t even charge its own ATM fees. Charles Schwab may not provide the highest savings rates, but free ATMs all over the world is a pretty solid deal. Which Banks Have the Highest ATM Fees? Some of the top banks do still charge ATM fees. In fact, these fees can be quite high at some banks. Big players like Citizens Bank, PNC and TD Bank all charge $3 for out-of-network ATM use. Premium accounts with these banks can get you out of paying these fees, but you often have to meet certain requirements like account minimums. Santander Bank also charges $3 for most customers, but provides a slight discount to student account holders. Take a look at the table below to compare various banks’ ATM fees. Though you can’t do much to control ATM fees, you can still avoid them or seek out cheaper options. For starters, it helps to avoid using out-of-network ATMs. While you can’t predict when you’ll need cash in a pinch, having cash on hand for emergencies can help. You can even choose the cash back option when you buy your groceries. If you need to withdraw cash from a foreign ATM, perhaps you can withdraw as much money as you can. This makes the fee more worthwhile and you won’t have to keep withdrawing cash. It helps even more to choose a bank that won’t charge you an astronomical rate for using an ATM. An account’s ATM fee shouldn’t be the main reason you choose the account, though. You still want to make sure the rest of the account fits your lifestyle. If your bank does charge ATM fees, locate an ATM both near your home and near your work. Using your bank’s own ATMs is the only way to ensure you won’t incur extra ATM charges. Most banks have an ATM locator on their website or app. You can also check the back of your debit card or with a bank representative to see if your bank is part of an ATM network, like Global ATM Alliance, MoneyPass or Allpoint. This widens your access to even more fee-free options. Finally, you can even try to go entirely cashless, using electronic ways of making payments and transferring money. Paying a fee to access your own money can be extremely frustrating. 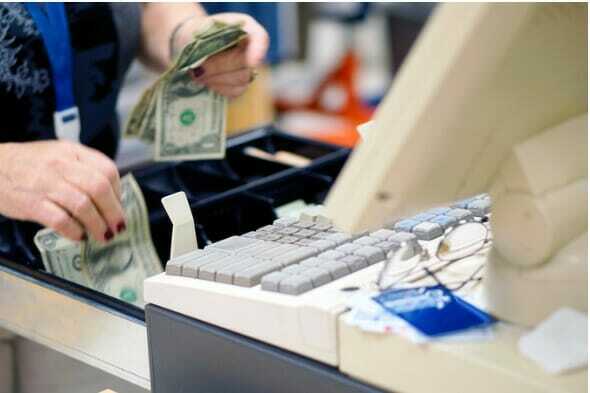 However, this system allows banks to make some profit in an increasingly cashless world. You may even see ATM fees continue to rise over time as operators adjust to keep their ATMs running. In any case, to avoid overpaying, you’ll want to double check your bank’s ATM fees and policies. That way, you’ll be prepared for foreign ATM fees and you’ll know what actions to take to avoid them. Bank ATM fees are just one charge among many that you need to keep an eye out for. Banks charge fees for balance minimums, paper statements and even account inactivity. It’s important to be familiar with the fees your bank charges to avoid any surprises. It can also help to prepare for these kinds of surprises with a good savings account. While you don’t want to deplete your savings just to cover bank fees, having a savings account is always a good idea. It can help you save toward expenses like retirement or a down payment on a house.